Property consultants CBRE Ireland have today released investment spend figures for the Irish market during the first quarter of 2018, which show that almost €930 million was invested in commercial property in Ireland during the first three months of the year. 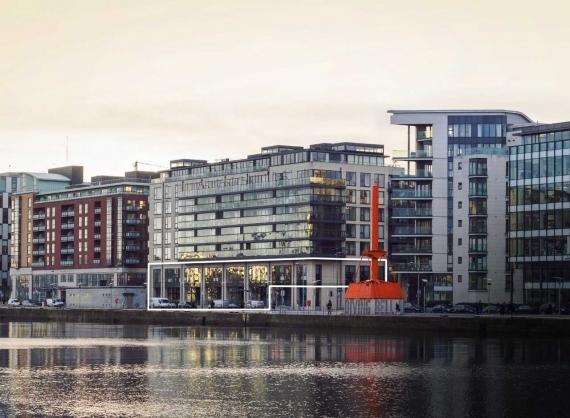 Almost three-quarters of Irish investment activity in the first quarter occurred in the Dublin market although CBRE say that investors are now also exploring good investment opportunities in other cities such as Cork with 11% of spend in the first quarter occurring in this city. The figures show that following 2017 which saw more than €2.5 billion of assets traded in the Irish market, the first quarter of 2018 has seen continued activity in the Irish investment market with 50 individual transactions with a value of more than €1 million totalling almost €930 million between them signed in the three-month period. Some of these transactions carried over from last year and several were conducted off-market. There were three investment transactions extending to more than €100 million in value signed in the first quarter, which boosted spend in the quarter. Offices accounted for more than half of investment spend in the period although 14% of spend in the first quarter was accounted for by the emerging Build to Rent/Multifamily sector. Speaking this week, Head of Capital Markets at CBRE Ireland, Johnny Horgan said, "The supportive economic backdrop and strength of underlying occupier market activity in Ireland continue to attract investors from a range of jurisdictions, with Ireland’s comparatively attractive yield profile also encouraging investors to consider opportunities in the Irish market. Although sourcing core product and deploying capital remains challenging, a number of assets have been formally released for sale in the last few months (both on and off market) while others are being prepared for sale later in the year, which should alleviate supply pressures somewhat." He added, "A very clear dynamic is the focus on ‘alternatives’. We expect to see continued strong demand for alternative investment opportunities over the coming months with any Build-to-Rent opportunities that are brought to the market likely to be particularly keenly bid."